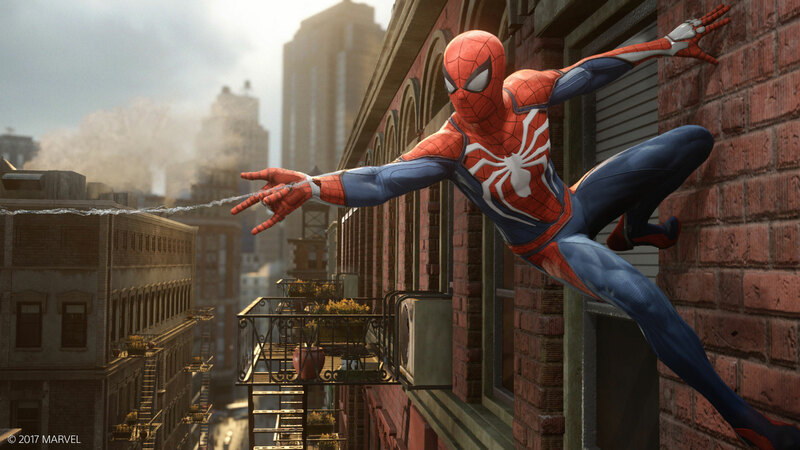 If you’ve been following Insomniac’s hotly-anticipated Spider-Man, chances are you’re aware of the “Puddlegate” controversy surrounding it. For those who haven’t heard about it, a portion of the internet isn’t happy about an alleged downgrade that saw a reduction in the size of an in-game puddle, and some lighting changes in between Spider-Man‘s E3 demo and final version (yes, it’s already out in the wild). Such was the hue and cry that Insomniac Games’ Community Director, James Stevenson, was forced to respond and explain the change. There is no downgrade. The sun moved during the course of development, which changed the lighting in the scene, and we reduced the amount of puddles there. Please enjoy the hour of amazing footage we’ve released since E3 illustrating this. During its PAX West 2018 panel, BioWare poked fun at the debate while showcasing the image of Anthem above. “Don’t touch my puddle,” another voice can be heard saying. Whether a change in that puddle makes a difference or not is up to you to decide when Spider-Man releases on Friday, September 7, for the PlayStation 4. In case you’re not interested in the debate, you can focus on beating the game’s main story, which will take about 20 hours of your time.